The East African Chapati is very similar to the Indian Paratha (one of the most popular unleavened flatbread in India). However, culture might have played its role in the slight difference in its mode of preparation compared to the Indian variety. Here is a little background for those who are not too familiar with this bread: Chapati is an unleavened flatbread which is believed to have its origin from India. Though many other theories are suggesting that its origin is from East Africa, some believe it’s from Persia. However, what we are sure about is that, the relationship between early travelers and traders made this flatbread popular and even a staple in other regions like Nepal, Carribean Bangladesh Sri Lanka, and Pakistan. 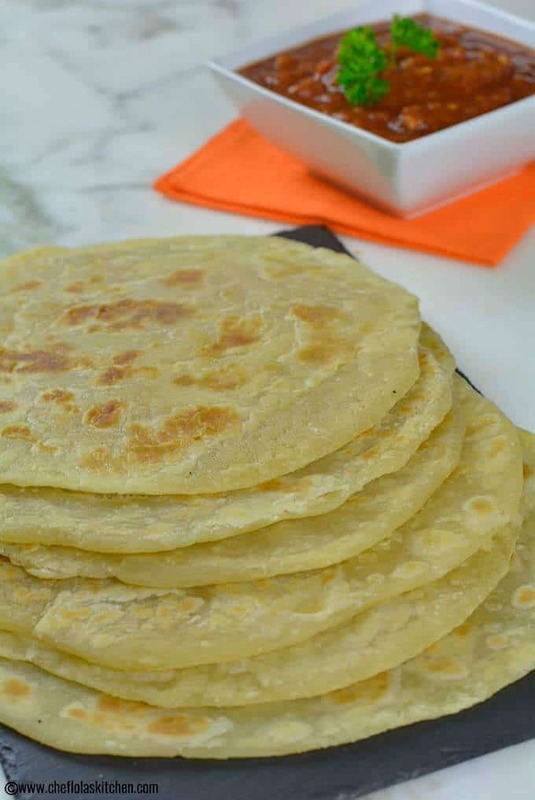 You can either make these chapatis without layers – plain chapati or with layers – Flaky Chapati. Though the later need some practice to master it once you master the skill, it becomes less work. 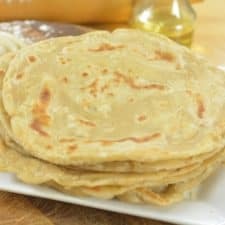 The plain Chapatis are easier to prepare at home than the layered, but quite a number of people likes the flaky and layered chapatis are still peoples favorite when it comes to choice. Here is how to make the flaky layers: I guess it’s better with pictures than words! It’s okay if you if you are not so keen on ”the layers” just skip to image 8 and 9 above and voila! – your flatbread is ready!!. Your bread will still be soft and of course delicious. However, the flaky layers will not be there. When I make these flat-breads, I make several of them and freeze them. 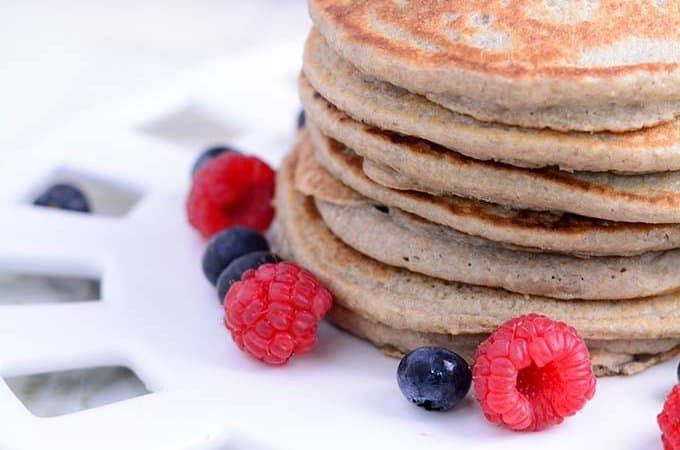 They are best served straight from the pan. However, they keep well and are good for a few days. 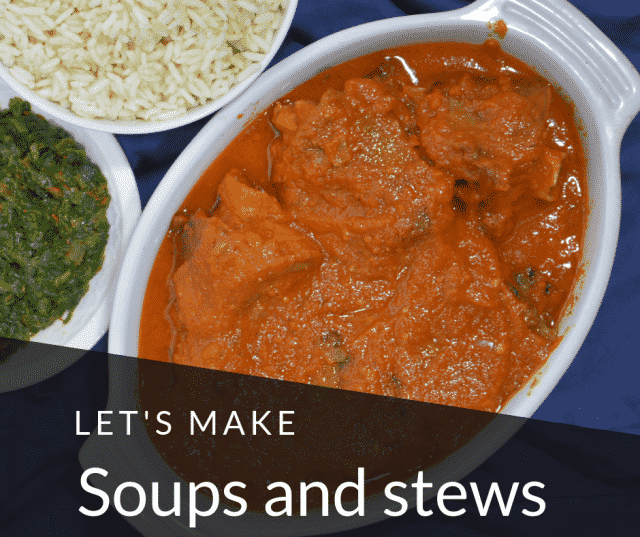 You can also serve with curries, beans, sauces or used as wraps for meals like Scrambled Eggs, Chicken, potatoes, meat, vegetables, and so much more. You can add little oil to the dough while kneading. This will make the chapati brown faster during the cooking process, thereby, preventing it from losing excess moisture. The dough needs to be soft and supple but not too soft. 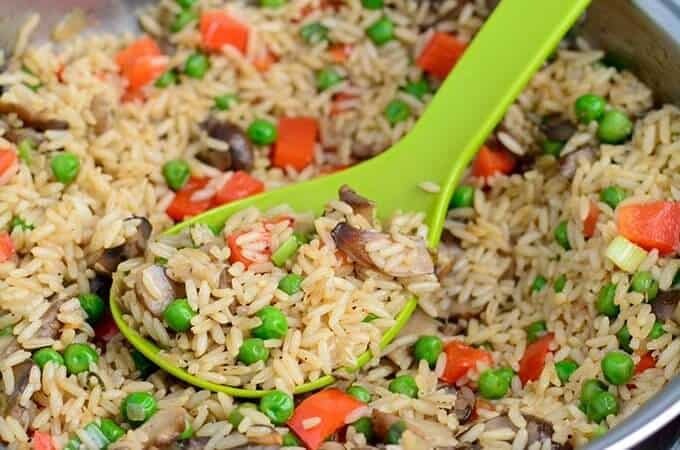 You can use lukewarm water to achieve this instead of room temperature water. Don’t skip the resting time, even if you don’t want the flaky version, it is still very important to leave the Chapati dough to rest for about 10 to 15 minutes. In this way you the dough will be easy to roll without breaking apart. 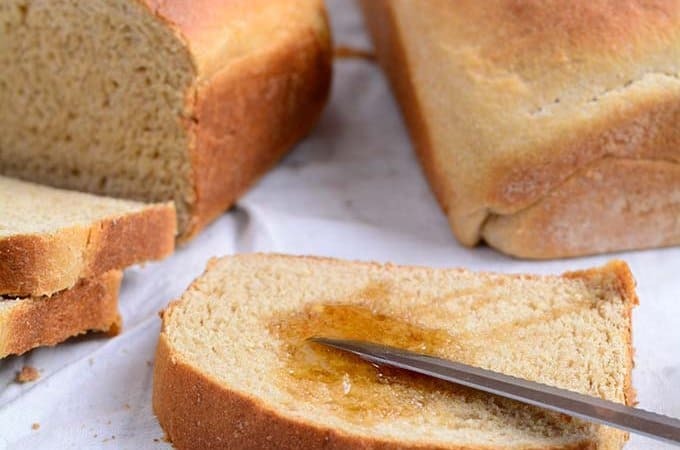 Knead well! This will allow your dough to develop its elasticity and enable it o be soft and supple. You can substitute water with milk or buttermilk for a softer chapati. 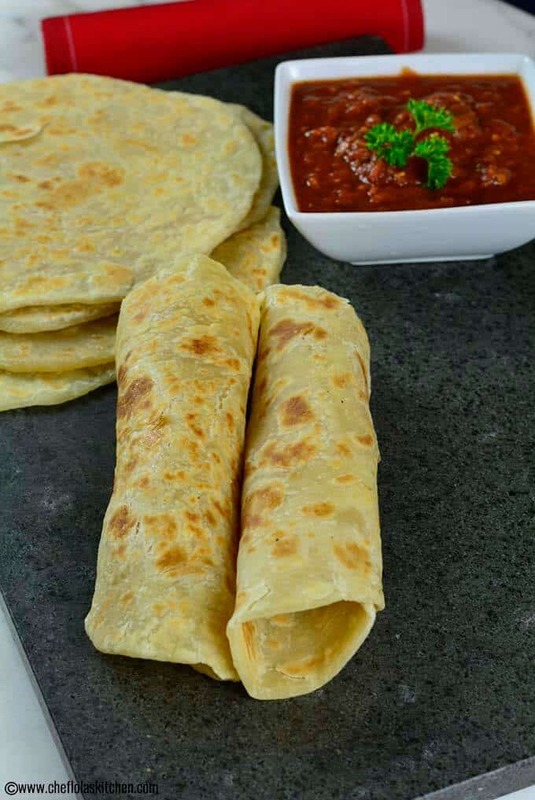 Cook the Chapatis on a medium to high heat, and it shouldn’t take more than 60 seconds (a little more or less) to cook to avoid moisture loss. Cook the first side for 10–15 seconds and cook the other side for about 30–40 seconds. However, be sure to cook both sides well. It is very important to use a non-stick pan in order to prevent the chapati from sticking to the pan or burning. Store in a casserole immediately. If you are planning on packing them for lunch, wrap them in a few tissues or foil. Placing the dough on a cold pan will harden the resulting Chapati so be sure to make sure to pre-heat the pan before placing the dough in it. The rolled balls wrapped in a damp towel and kept in the fridge for a few days. You can use them as needed. You can use the mixer if you have one. It makes the whole process easier. You can reheat these flatbreads but they are best when eaten fresh. Here are the common spellings: chapatti, chappati, chapathi, or chappathi depending on the region. In a large bowl, combine flour, salt, and oil in a bowl and mix thoroughly. Add the water a little at a time to form a soft and sticky dough. Turn to a floured surface; knead for about 10 to 15 minutes until it becomes smooth and elastic. Place in a bowl. Cover and let it rest in a warm place for about 20 to 30 minutes. Turn onto a lightly floured surface; divide dough into 8 equal parts and roll each piece into a circle. You can roll out the dough into a circle cook the Chapatis at this point. However, if you want a flaky and well-layered chapati, move on with the rest of the steps below. 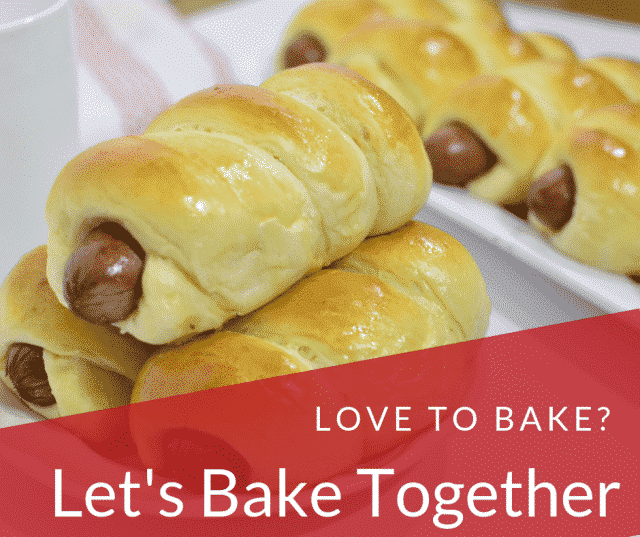 Flour your work surface again and start rolling out each of the coiled dough to about 1/8th thickness (the dough will eventually shrink up to about 1-2/4 inch thickness). 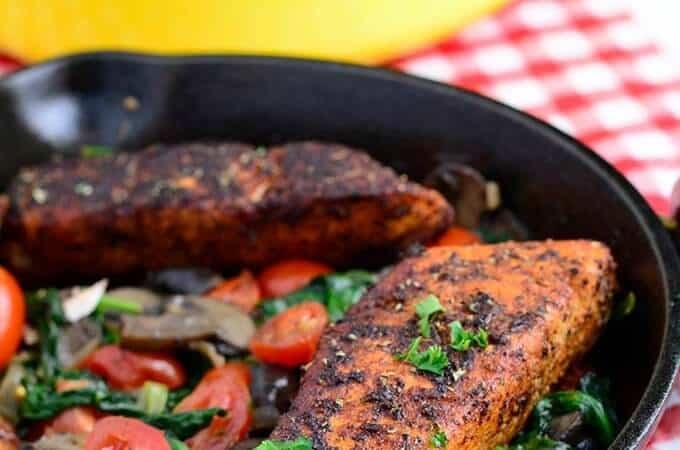 Preheat a non-stick pan or a heavy bottom skillet. Place the chapati on inside the pan and leave it to cook for few seconds before disturbing it. 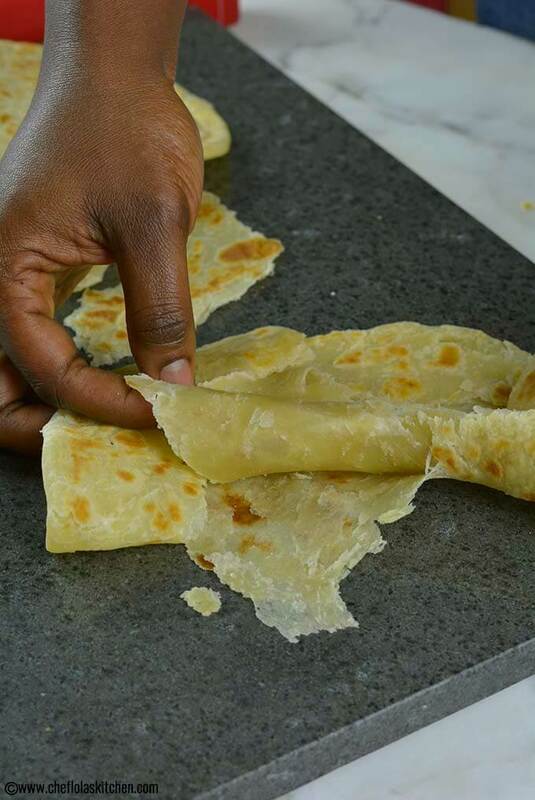 Brush the surface of the chapati with a very thin layer of oil. Once you begin to see bubbles rise on top of the chapati, flip it over to the other side and brush it also with a thin layer of Oil. Continue to flip over about one or two more times until you achieve your desired brownness. Serve hot or warm and enjoy with your favorite dish. It’s so interesting to me that almost every culture around the world has some form of flatbread. Chapati is one of our favorites. Yes, Renee, Flatbreads are simply awesome! Thanks for the amazing feedback Noelle, I’m glad you all enjoyed it! It looks almost like naan, is the taste similar? I love how you can make this using ingredients you already have at home without having to buy anything special. It’s quite different from Naan. 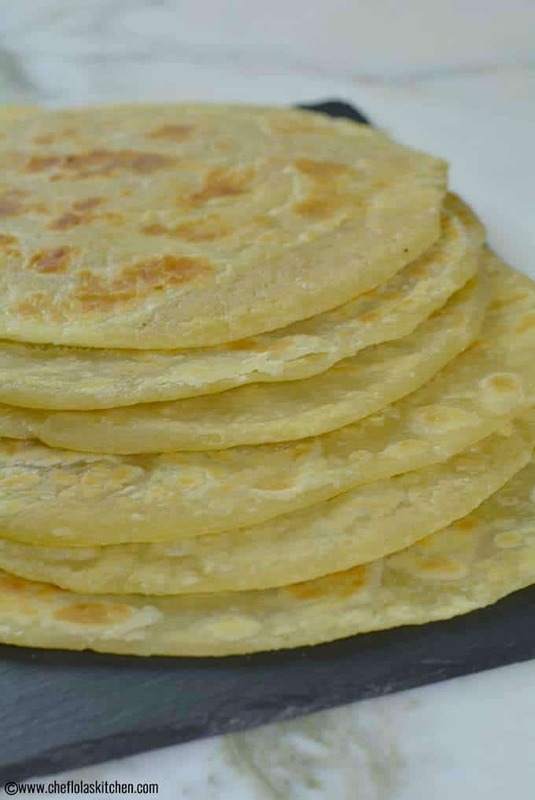 Chapatis are more delicate and they also have a milder taste…yea, few ingredients are required but the outcome is amazing! Love chapati! Yours look incredible. Really wish I had a couple right now with some tea. You are absolutely right Carmilla, there’s always a type of flatbread birthed from each country…thanks for stopping by. Why didn’t you add sugar to the chapati? Sorry for the late response. it’s just a choice, adding a little wouldn’t hurt if you choose to. It’s not really necessary Ifeoma. Chapati has a mild subtle taste. Adding sugar to it wouldn’t hurt, however, that might not be the best idea.